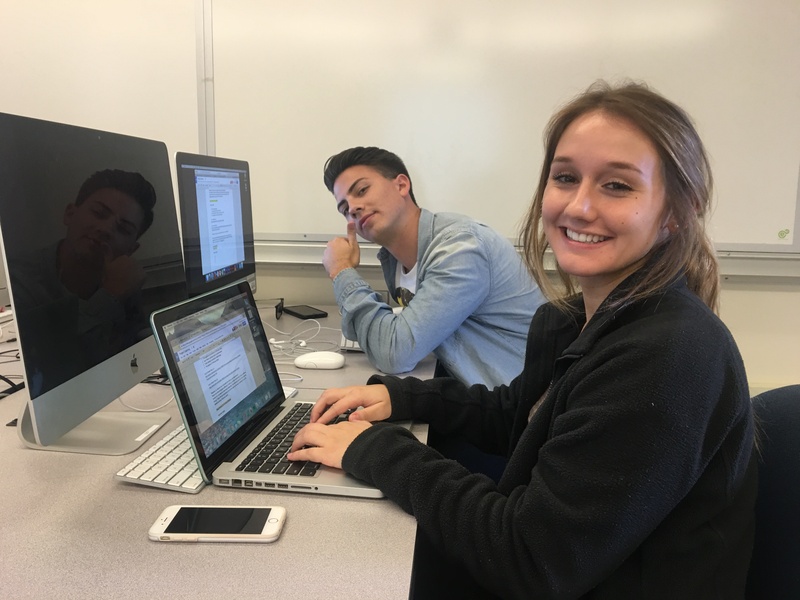 Our teams initial idea for the first project was to do a feature story on a Cal Poly professor Dr. Todd James Pierce, who writes books and records a podcast about amusement parks. 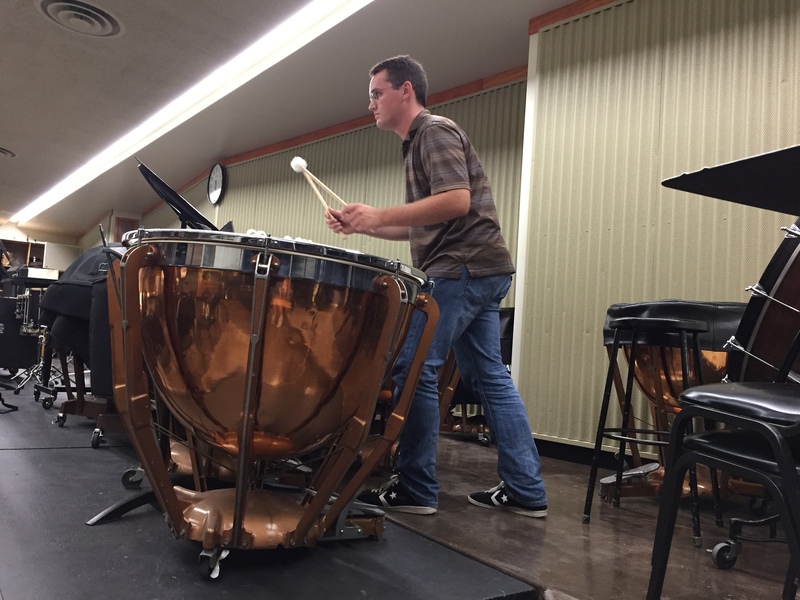 We thought this story would be interesting for Mustang News readers because it would showcase a professor in a different light than students are used to and reveal some of the professor’s hidden hobbies. Our first assignment, the community engagement report was completed in the hopes that this would be our topic. After we were unable to schedule a meeting time with the professor before our deadline, we decided on Thursday morning of the first week that we would change our topic. 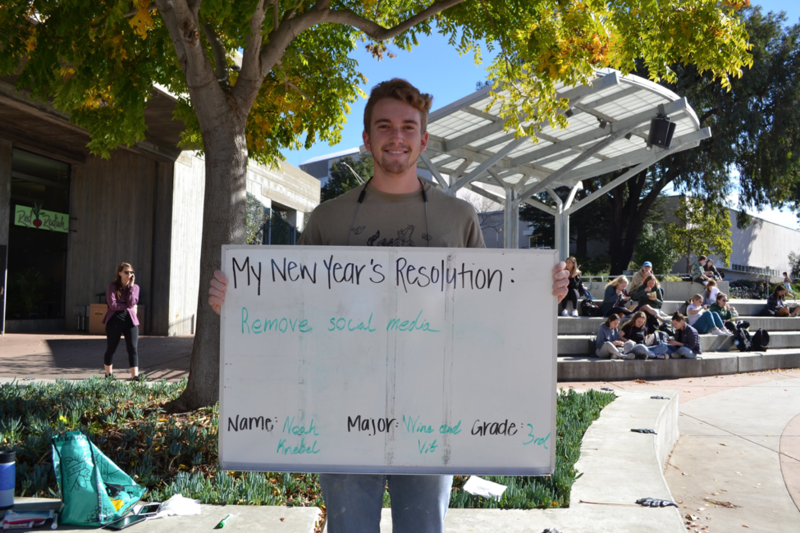 We settled on the new topic of Cal Poly students and their opinions on New Year’s resolutions and hit the ground running. Nicole and Tina worked together on the strategy and engagement portion of the project. Nicole had some great ideas regarding angles to take for the story and questions to ask on social media. “I think students would be interested in hearing about realistic resolutions that can actually be accomplished,” she said. 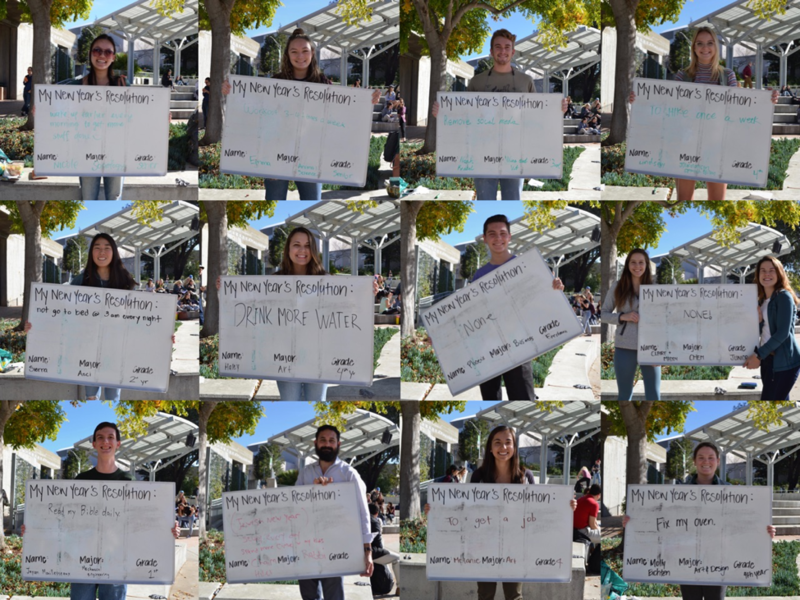 We carried on by asking students on various social media platforms how they felt about New Year’s resolutions, whether or not they keep them and for how long if they make resolutions, and if any of their resolutions revolve around improving campus social climate and environment. We thought asking about campus social climate and environment could give us an interesting angle to write about. Unfortunately, we hardly received any fruitful answers for this question. Through our social network engagement report, we found that most students are interested in learning about unique resolutions of diverse groups of students and whether or not they follow through with these resolutions. 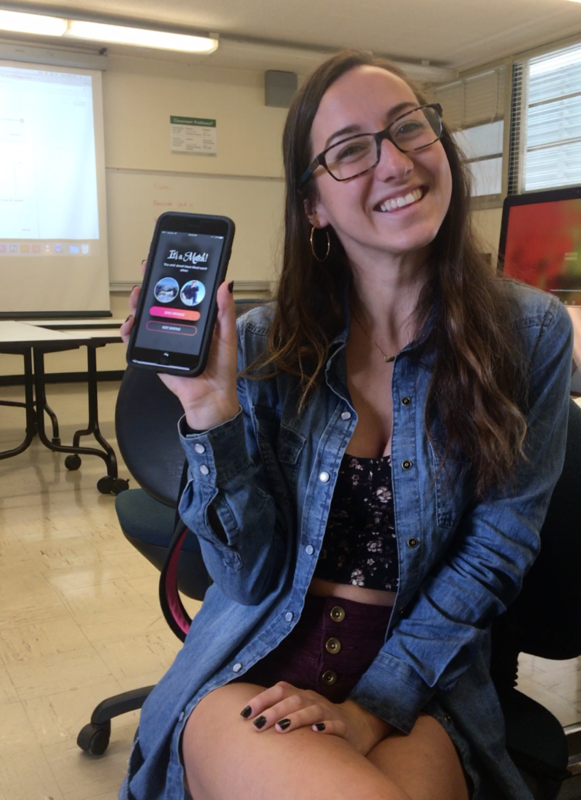 “I got a lot more responses than I expected from students on Reddit, Instagram, and Snapchat, Tina said. 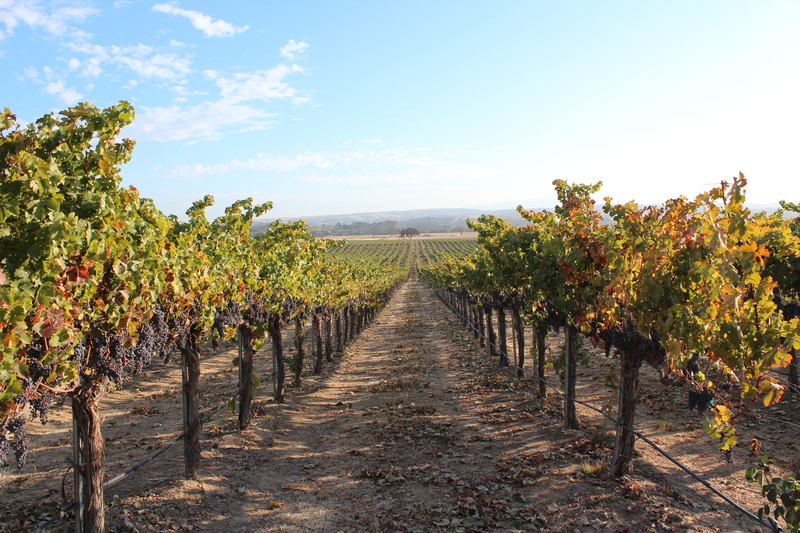 Additionally, our backgrounder provided insight into some previous professional news stories on this topic. This gave us ideas about how to take a different approach on the topic than one might expect. 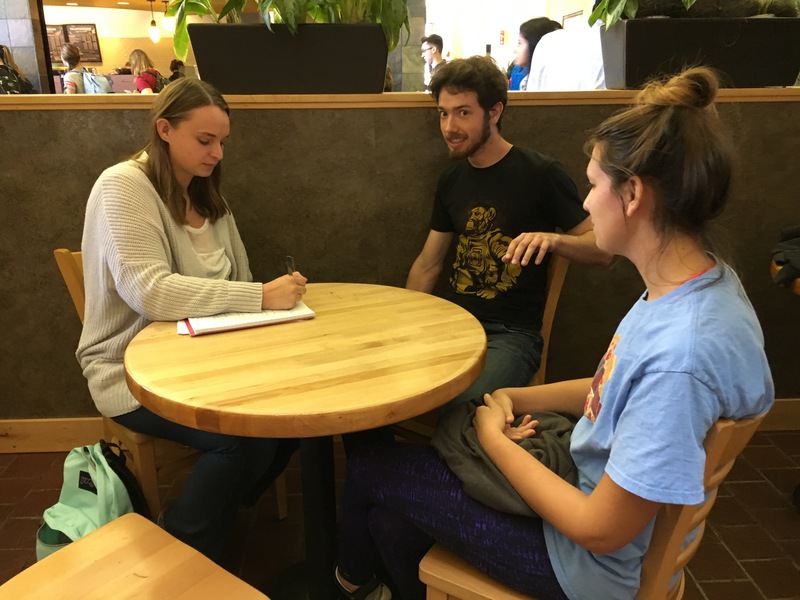 We came up with the idea to interview random students on the spot during UU hour. 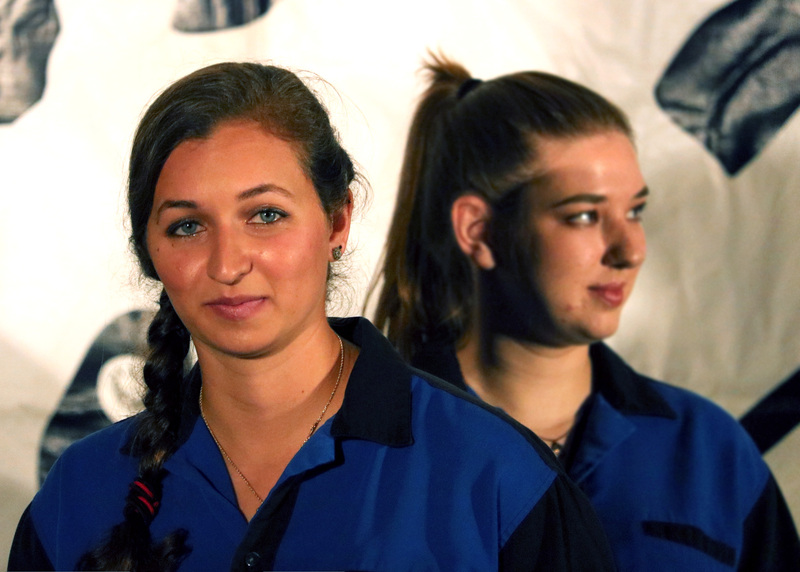 Maddy, the Interactive group member, would photograph them holding a whiteboard with their resolution written on it and then Connor, the audio and video member, would interview them by asking a few questions and get video footage. “I did a word on the street to try and get people to talk about their New Year’s resolutions and it went really well”, Connor said. 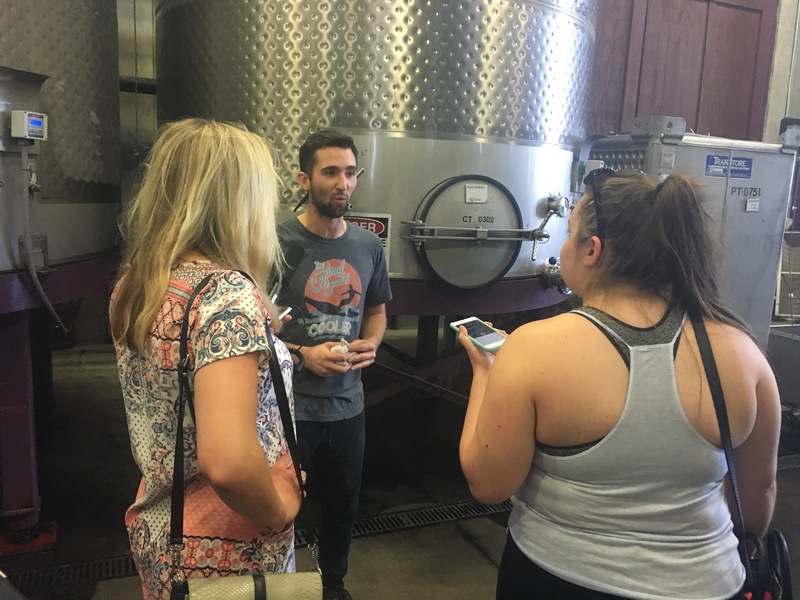 Wine and viticulture junior Noah Knebel’s New Year’s Resolution was to remove his social media accounts and he has stuck to his resolution so far. One of the students we interviewed, senior Art student Melanie Delacruz, mentioned how she liked what we were doing. 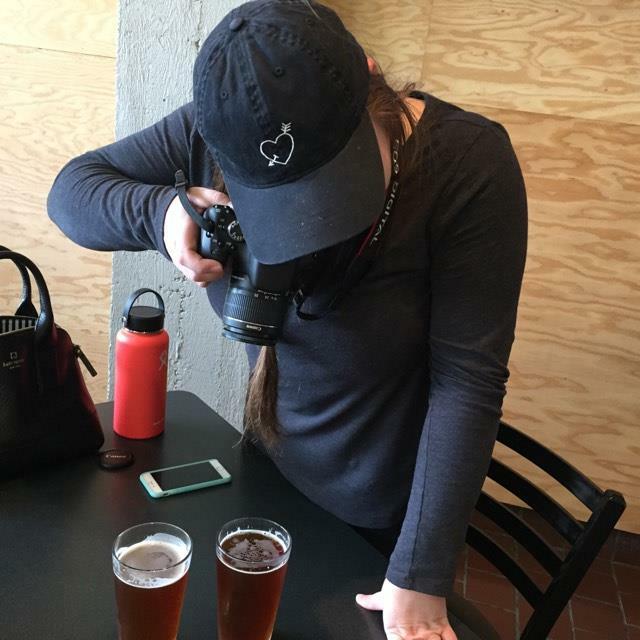 “I think the idea to interview people just walking around makes the story really genuine and forces them to give raw, unedited answers,” Delacruz said. 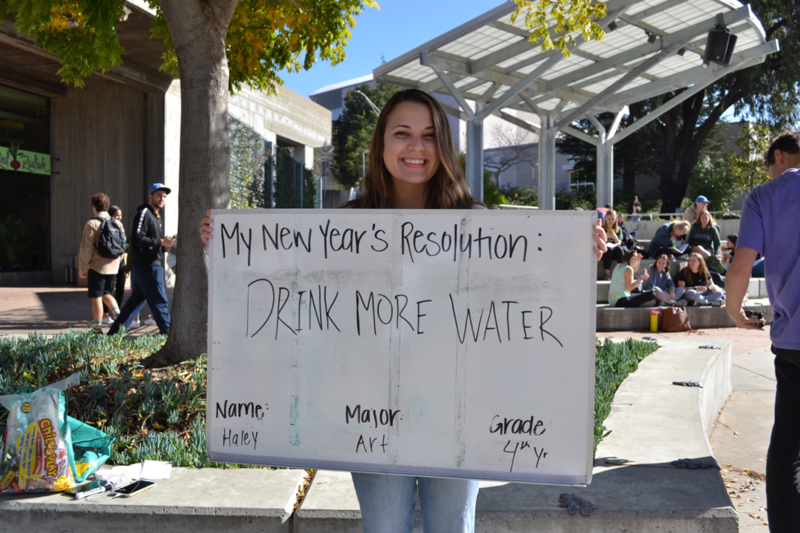 Art senior Haley Sylvers had a simple resolution to drink more water and she hopes to continue sticking to that for the rest of the year. 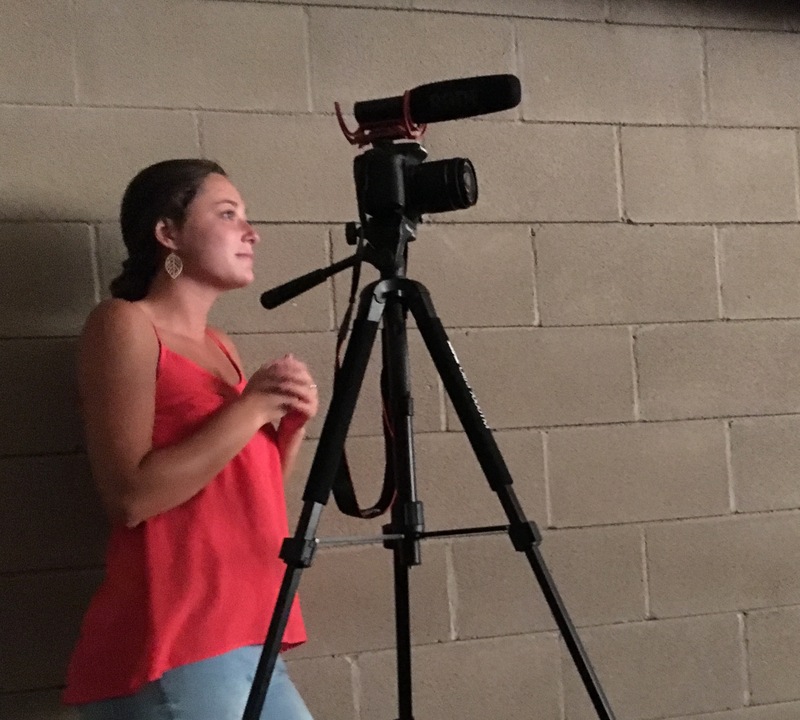 “Originally, I was worried about how I’d be able to approach this story visually, but it ended up being a really enjoyable experience, Maddy said. She guided students as they wrote out their names, majors, years, and resolutions on the whiteboard and then as they posed for a quick picture. She took a total of twelve pictures of students with the whiteboard. Maddy created this collage of pictures featuring students’ and the whiteboard which they each filled out. Laura, the word group member, has been working on the story for our project. “Initially, I had some trouble finding professional sources for the story, but a couple professors have been very accommodating and I think my interviews turned out well. 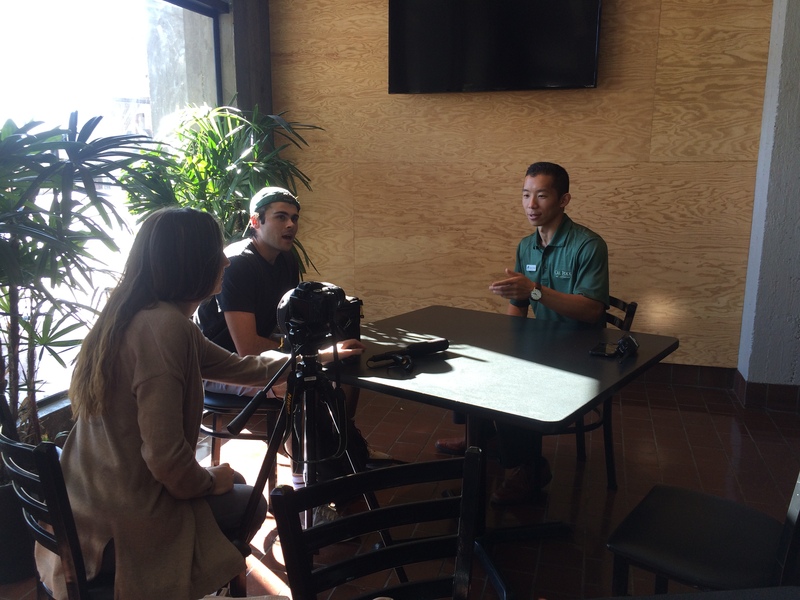 She interviewed Daniel Levi and Don Ryujin, both Cal Poly psychology and child development professors. Overall, our group worked very well together to put together the pieces for this project. We will be using this final day before the last due date to put together all of our components and make sure everything is as good as can be.